September 21, 1973: After last nights dramatic win, the Mets were only a half game behind the Pirates. 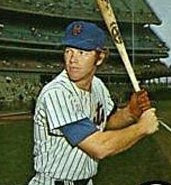 Tonight in front of almost 52,000 at Shea, they completed the three game sweep and took over first place for the first time in the 1973 season. They would remain there and win the Eastern title on the last day of the season. 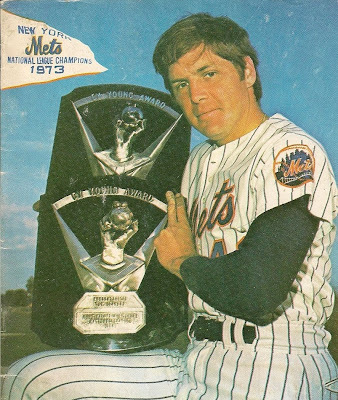 If you follow the old stories on this site, you see how many times Tom Seaver is mentioned, and how great he was. This game was no exception, with first place on the line, the 1973 Cy Young winner went out and pitched a complete game five hit victory for his 18th win of the season. He struck out eight, walked two while allowing only two runs, dropping his ERA to a 1.88. The Pirates went through six pitchers allowing 10 runs on 13 hits, including HRs by Rusty Staub (15th), Wayne Garrett (1 4th) & John Milner (23rd). Jerry Grote had three hits and drove in two runs, Cleon Jones also drove in two runs, getting two hits. Garret had three hits, Staub two, a matter of fact everyone in the line up except the center field position players (Dave Schneck & Don Han) all had hits.